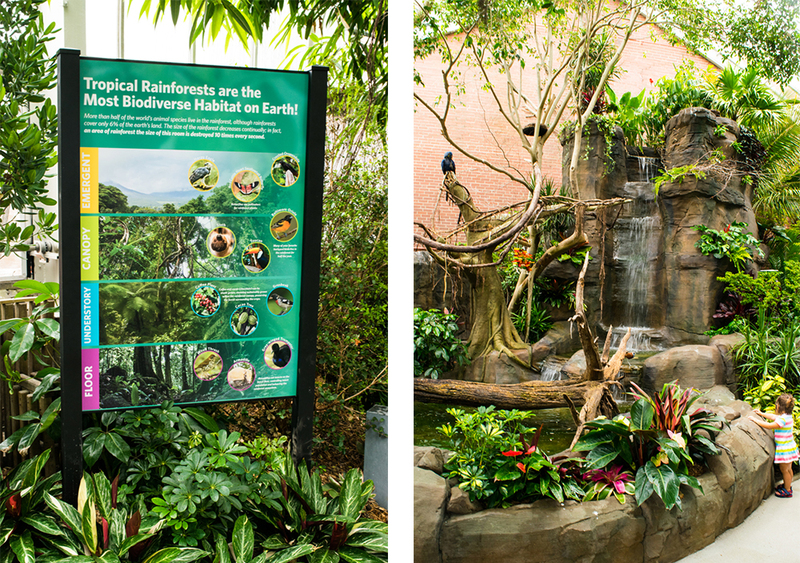 The National Aviary recently renovated the Tropical Rainforest exhibit, which was unveiled to the public on July 13, 2018. The Tropical Rainforest now has more than 400 tropical plants, a 15 ft tiered waterfall, a new glass ceiling with 3,416 panes of bird-friendly glass, and design work from ocreations. 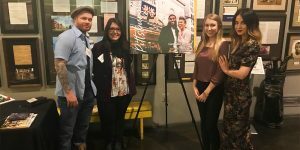 ocreations designed the wall wraps for the exhibit’s entrance, which also includes a glass donor sign, and 12 pop-out informational panels. 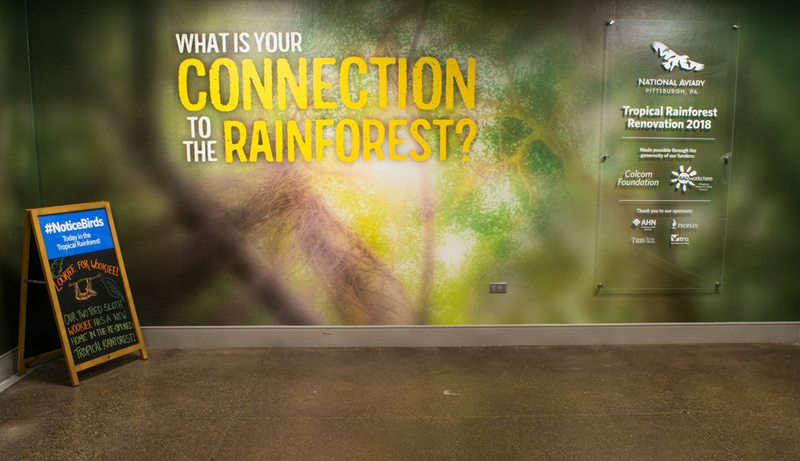 Inside the exhibit, ocreations designed two large informational panels, as well as a digital interface for visitors to learn more about the birds and plants all around them. ocreations worked with PRIZUM Creative on the digital interface. This was a unique and complex project for ocreations, and we could not have done it without the amazing direction, dedication, and collaborative hard work from the National Aviary. Thank you to the marketing team at the National Aviary – you are always a pleasure to work with! The exhibit is outstanding in person, but in the meantime, check out the photos and videos from our visit to the National Aviary. 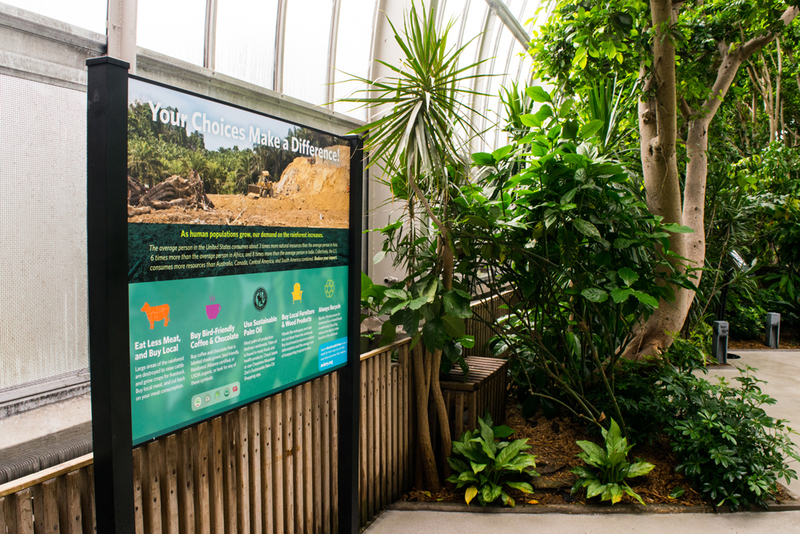 For more information on the National Aviary or the Tropical Rainforest exhibit, visit aviary.org. For design inquiries, please contact us at ocreations. Visit ocreations.com for more samples from our portfolio. Email somara@ocreations.com or call 412-759-3181 for more information about how to create, refresh, or reinvent your brand.